Take a look at our Top Golf Holiday Deals in Spain, personally selected for you by Tee Times Golf Agency team of experts, based in Vilamoura. 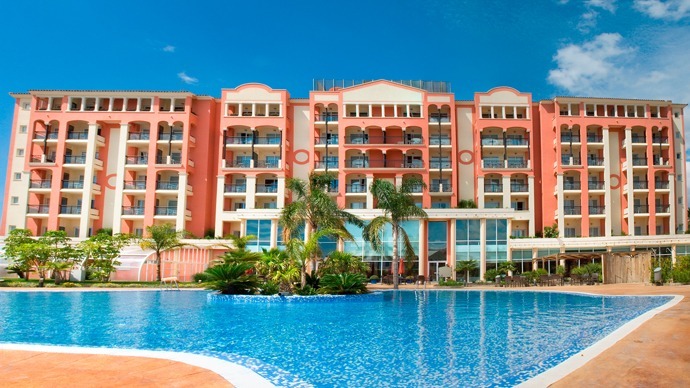 Hotel Fuerte Estepona, one of the top hotels in Estepona, is a beachfront four-star hotel. The town centre is just five minutes away although you could happily spend days enjoying the hotel’s luxurious facilities. An ideal place for relaxing golf getaways, family or couple holidays, or holidays with friends. Fuerte Estepona Hotel is an excellent base for trips to interesting tourist places that are very close: Puerto Banus (15 minutes), Marbella (20 minutes) Gibraltar (half an hour), Tangiers (an hour by ferry and 45 minutes to Tarifa), Jerez (an hour), Seville (an hour and a half), Ronda (an hour), and Malaga (an hour). It has 210 spacious rooms and luxury apartments with sea views and fully equipped with air-conditioning, Satellite TV and whirlpool bath; tea and coffee set is also included. You will find free Wi-Fi in all the hotel, modern sports facilities, tennis, volleyball or shuffleboard; special prices in the best golf courses in the Costa del Sol, four large pools, one of them for children, an exclusive Spa Centre and restaurants overlooking the Mediterranean Sea. If you are looking for a beachfront hotel in Estepona with a pool, Fuerte Estepona will exceed your expectations with four large pools, one of which is for children. Thanks to its exceptional climate and fantastic golf courses, Estepona is one of the top golfing destinations in Costa del Sol. From the hotel, you can easily access some of the best golf courses in Andalucia with exclusive benefits for guests. 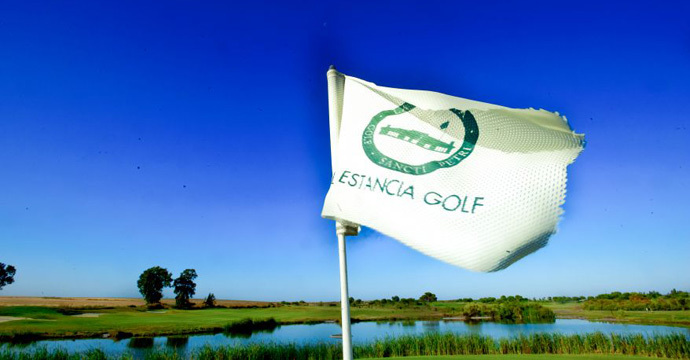 Indulge your passion for golf at Hotel Fuerte Estepona. Bonalba Golf Resort & Spa is surrounded by gardens and a golf course, in a quiet area of Mutxamel, 10 minutes’ drive from central Alicante. It has a spa and a large outdoor pool. The spacious rooms at the Bonalba Golf Resort & Spa have a private terrace and latex mattresses. Each one has flat-screen satellite TV and free Wi-Fi. The resort has a restaurant specialising in rice dishes, as well as an English-style pub. There is also a beach club on San Juan Beach, with a shuttle service in summer. During summer months, the hotel offers a buffet with show cooking and the possibility to have breakfast, lunch or dinner beside the pool in tropical gardens. Children's entertainment is offered daily in summer, and there are night-time shows on some nights. With easy access to the AP7 Motorway, the hotel is 15 minutes’ drive from San Juan Beach. You can drive to Alicante Airport in around 20 minutes. 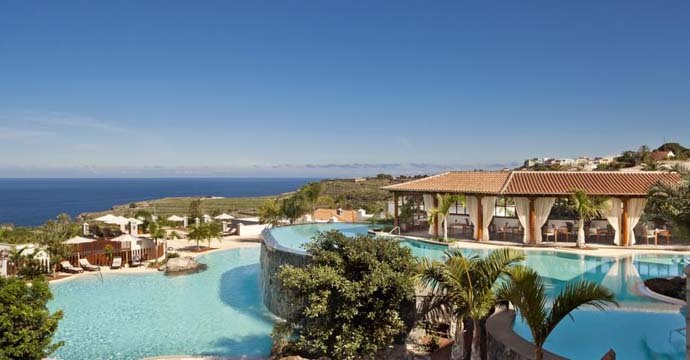 Melia Hacienda del Conde is a luxury hotel located in Buenavista del Norte, Tenerife. This adults-only property has a spa centre, hot tub, free WiFi, 3 restaurants and 2 pools. Every room at this hotel is air conditioned and is fitted with a furnished terrace, flat-screen TV with international channels, seating area with a sofa, and walk-in closet. The luxurious bathroom comes with a bath, hydromassage shower, hairdryer, VIP toiletries, and double vanities. Some rooms have access to The Level services, which include a Nespresso machine, executive lounge access, and early check-in and late check-out subject to availability. The property has an 18-hole golf course, designed by Severiano Ballesteros, as well as a free fitness centre and banquet rooms. The spa includes a thermal circuit, sauna, Turkish bath, and hairdresser. Free parking is provided. Tenerife South Airport is 70 km from Melia Hacienda del Conde. 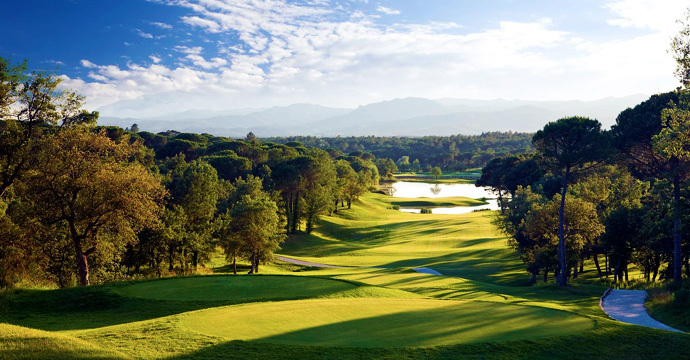 The Rio Real Golf Course is a luxury resort situated 5 km outside Marbella. The hotel has an 18-hole golf course, spa and outdoor swimming pool. The rooms at the Rio Real are stylishly decorated and feature balcony with views of the hotel golf course. All air-conditioned rooms have satellite TV and private bathroom with Molton Brown toiletries. Other facilities at the Río Real include tennis courts, terrace, club house and restaurant. The hotel spa offers a range of treatments, including massage, facials and wraps. Located on the Costa del Sol, the Río Real is located close to several beaches. Puerto Banús and the Sierra Blanca mountain range can be reached in under 30 minutes, by car. Hotel Guadalmina Spa & Golf has direct access to San Pedro Beach and the 10-hole Campo Sur de Guadalmina Golf Course. The resort has free Wi-Fi and a modern spa. Guests enjoy free access to the resort’s fitness room and outdoor pool. There are special rates at the spa and a range of treatments are available. Book La Cala golf courses, La Cala Europa, La Cala America and La Cala Asia for a great value package. 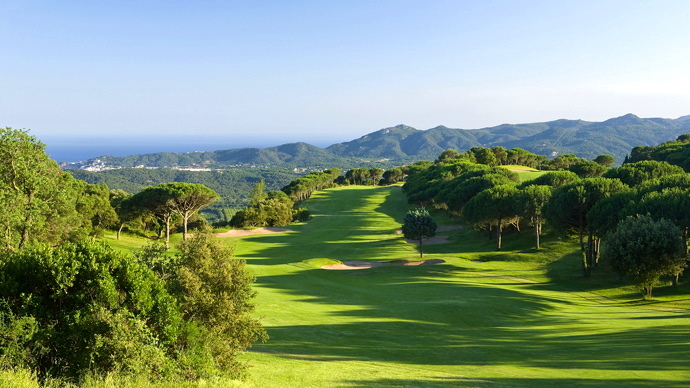 Book both San Roque's golf courses, the Old Course and the New Course with shared buggy included. San Roque Club in Cadiz, Spain. Book Son Muntaner, Son Vida and Son Quint, three of the best golf courses in Palma de Maiorca for great value. Balearic Islands, Spain. Book Son Muntaner, Son Vida and Son Quint, three of the best golf courses in Palma de Maiorca for a great value offer. Balearic Islands, Spain. Book four of the best golf courses in spain, La Reserva at Sotogrande , Valderrama, Sotogrande and San Roque Old Course for a great value package. Luxurious Golf Package in Costa de La Luz, Spain. 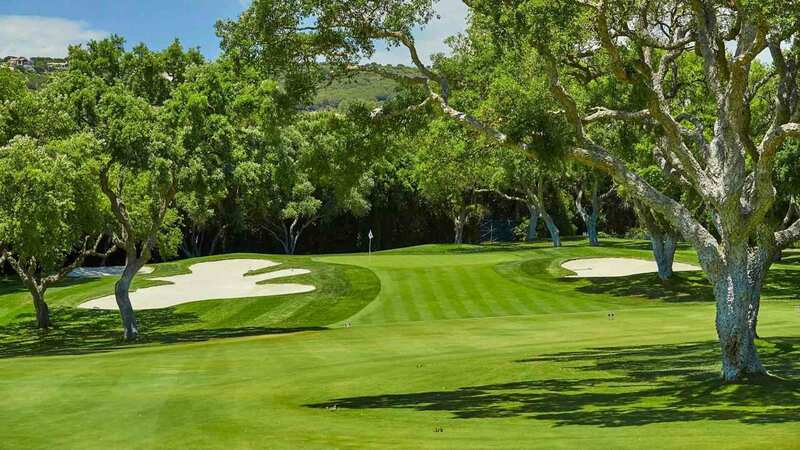 Book four of the best golf courses in spain, Valderrama , Finca Cortesin, Sotogrande, La Reserva and San Roque Old Course for a great value package. Luxurious Golf Package in Costa de La Luz, Spain. Fantastic service, great price. Could not be more helpful. Excellent service as always. Quick, efficient and very professional. Spain, with over 250 excellently maintained Golf Courses throughout the mainland and the Canary Islands, it is no wonder that Golf Holidays in Spain continue to be hugely popular, attracting many visitors from around the World to come and Play Golf in the Sun. Tenerife, another Spain 'Golf' Island, has lately become a hot spot for golfers prepared to enjoy another Golf Holiday in Spain. 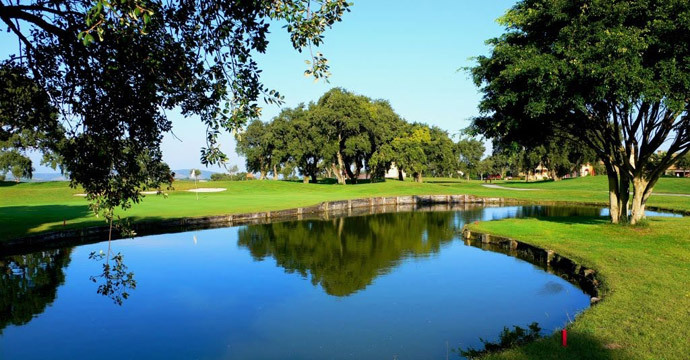 Europe’s biggest concentration of over 45 Golf Courses can be found along the Andalusian province from Malaga to Cadiz, affectionately known as the "Costa del Golf". 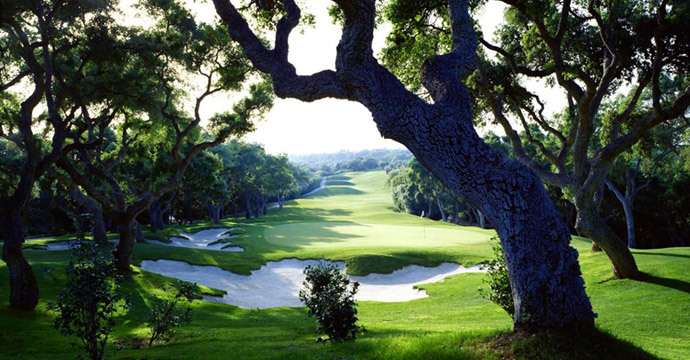 Many of the Spanish Golf Courses are set in picturesque locations with beautiful views of the mountains, the forests or sea, and have been meticulously designed by famous craftsmen such as Robert Trent Jones - Sotogrande and Valderrama, Jack Nicklaus - Monte Castillo, initially home of Volvo Masters and of the recently deceased Spanhish Legend Severiano Ballesteros - los Arqueros, and linked with real estate development. 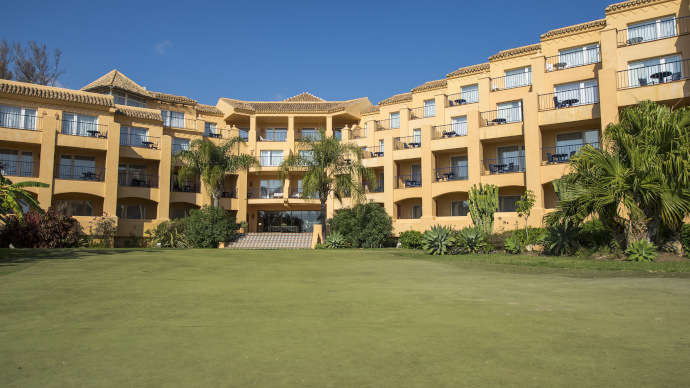 Many of the hotels in Spain advertise special offers exclusively for the Golf Market and the Golf Courses in Spain often make reduced rates at various times throughout the year to help attract an all year round trade. The Very Best of Golf in Costa Del Sol! 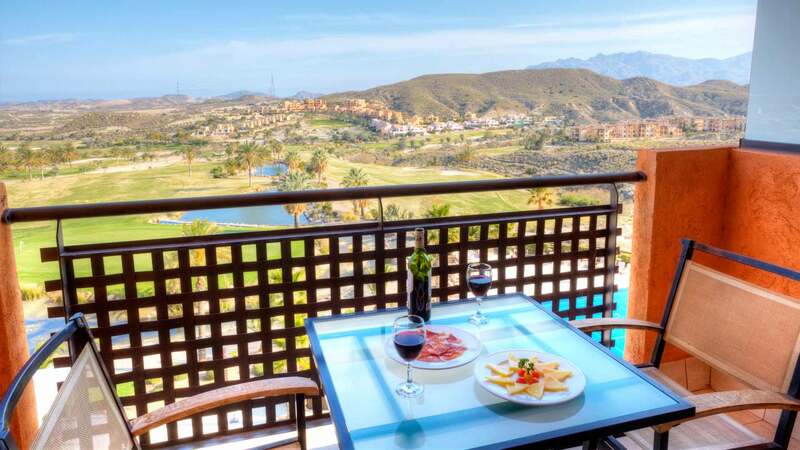 An utterly pleasant climate, exquisite surroundings and over 75 lavish golf complexes and resorts nestled across a fairyland horizon – there is a reason Costa Del Sol is affectionately called as Costa Del Golf and the Ultimate Golfing Paradise of Europe! 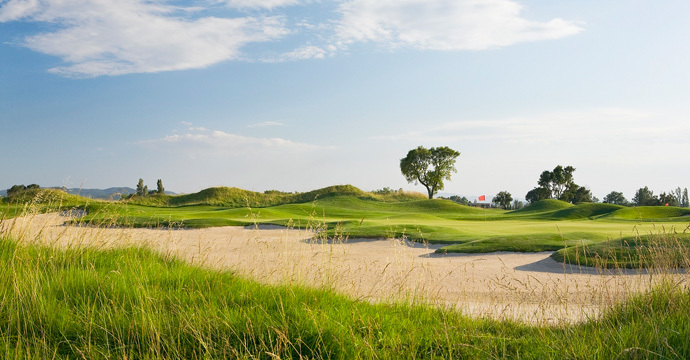 The region, situated in Southern Spain, is home to some of the best golf courses, and tops the list of the best golfing destinations in the world. 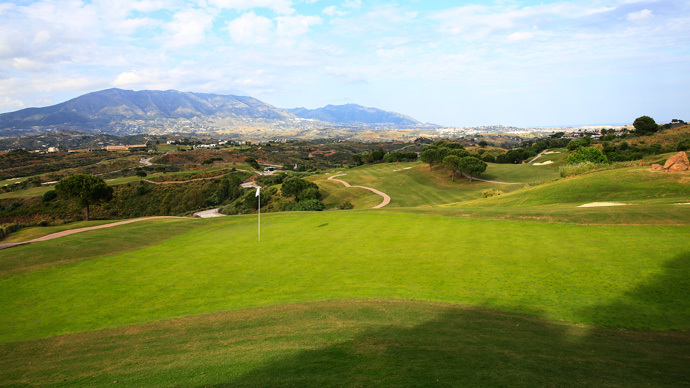 Here’s an overview of the bets golf course situated in Costa Del Sol. 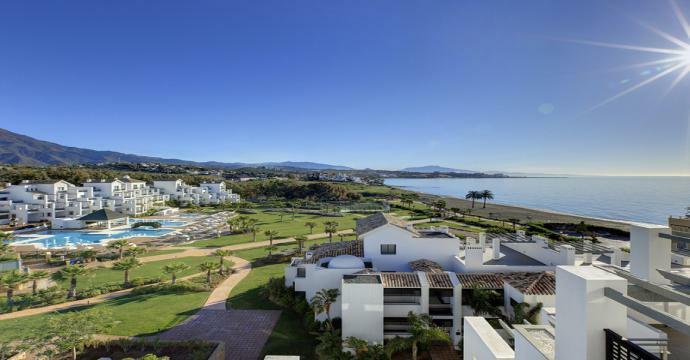 Perched in the mystique valley of Mijas, La Cala Golf Complex is a 5-star residential golf resort and is one of the top picks of tourists, visitors and golfers landing in the region. The upscale resort is situated at around 30 minutes’ drive from Malaga International Airport, by the coast of the Mediterranean Sea. 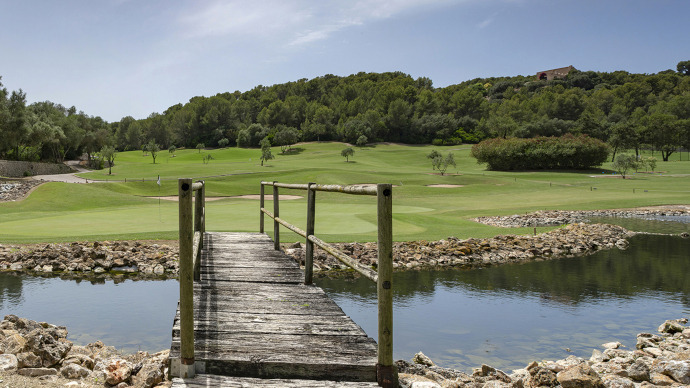 La Cala is home to three full-fledged golf courses: La Cala Asia, La Cala America and La Cala Europa, each a complete 18-hole course, one par 71 and two par 72. 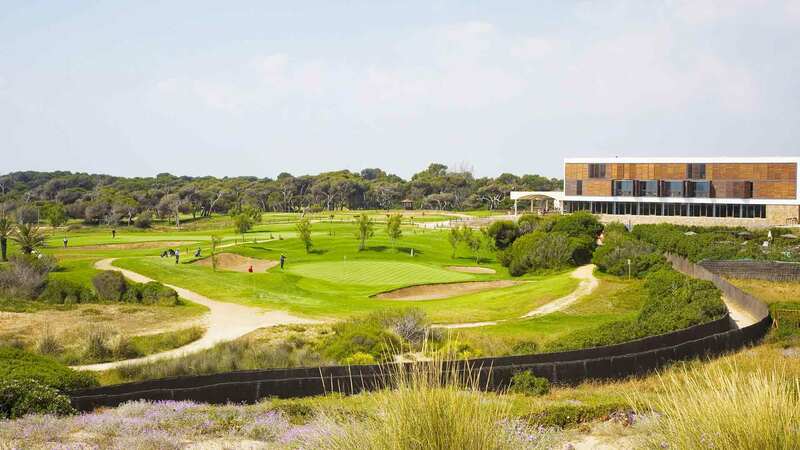 Recognised as the largest golf complex in Spain, La Cala hosts a number of regional as well as international golfing championships throughout the year. 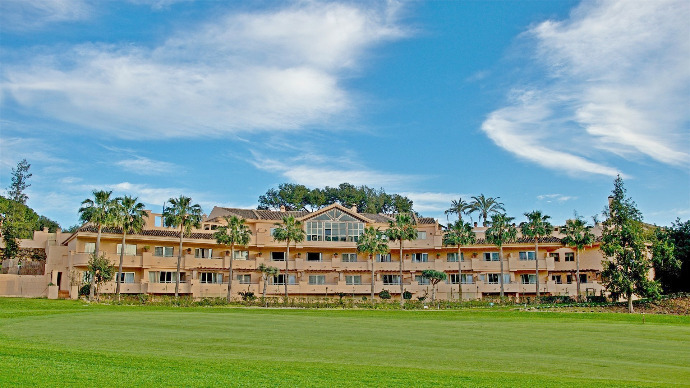 An emblem of the architectural mastery of the designer Cabell Robinson, La Cala Complex was established in 1989 and has undergone multiple renovations and extensions over time. Atalaya Golf Estepona is a classic golf course that is heavily doused in an alluring vintage appeal. Built over half a century ago in 1968, the course has undergone multiple renovations over time that were primarily aimed at preserving its natural beauty and to enhance the experience for the visitors. The complex carries a strong rustic charm about it and houses two golf courses: The Old Course and the New Course. Both courses are 18-hole courses, the New Course is par-71 and the Old Course is par 72. The course is set affront the magnificent Sierra Blanca Mountains is drenched in a blissful serenity. The fairways are wide and expansive, stretched across the horizon and are punctuated with some incredible flora of the region. With mysterious bunkers, complex traps, narrowing alleyways and graduating slopes and featuring cactus, eucalyptus, azaleas, and palms, golfing is indeed a treat at Atalaya Golf Estepona, for players and spectators alike. 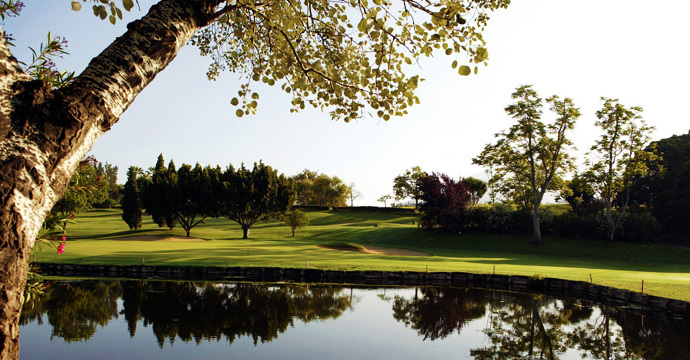 Nestled in the midst of Sotogrande and Marbella, Dona Julia is a unique golf clubs situated by the beach, unlike many other golf courses in the region. The 18-hole course features freshly-manicured grasslands punctuated with chunks of tall palm trees and faces a magnificent azure skyline of the Mediterranean Sea. The course of wide and expansive, 5,976 metres long and features a variety of slope, sand dunes, bunkers, traps, alleys and greens across the length and width of the fairways. 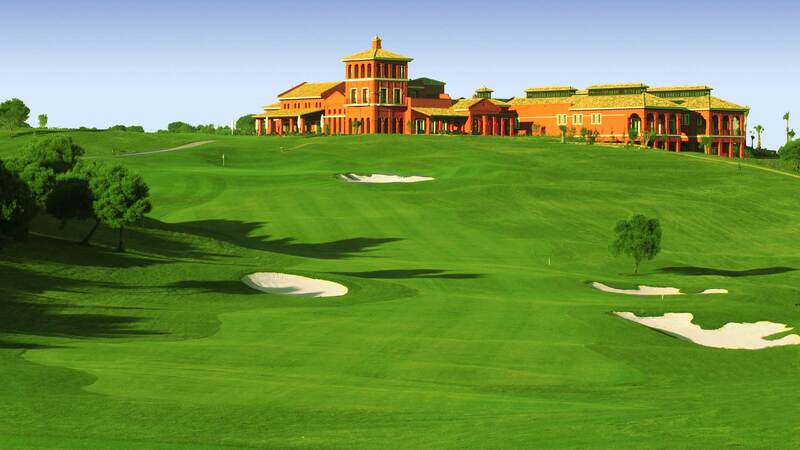 Design by the acclaim golf course designer Antonio Garcia Garrido, the Dona Julia is considered as one of the most complex golf courses of Costa Del Sol and required some skilful precision on the player’s part to ace a shot and make it to the hole. Spain, the land of colours, cultures, arts and all things sublime is one of the most sought-after destinations of the world. Here are some special things to do, for all the travellers who have listed Spain on their bucket list. Read on. Talk about diversified beauty and there goes the name - Malaga! The region that features tall snowy altitudes as well as sandy beachy descents - when you are in Malaga, the best of both worlds is just an arm's length away. Take out your snow boots for a mountain stroll, or whoosh your way down the mountains, slicing through chilly mountain winds. When you're done skiing, pick up that straw hat, apply some sunscreen and get a good tan, the very same day. With Nevada Mountains, a contrasting climate and some of the best resorts of Europe, Malaga should top your list of things to do when you are in Spain. Golf is becoming an increasingly popular sport in Spain. As more golf courses are being constructed across the country, it has become one of the most popular attractions for the tourists and visitors landing in Spain. At present, there are around 250 golf courses, situated mainly in the major tourist areas. 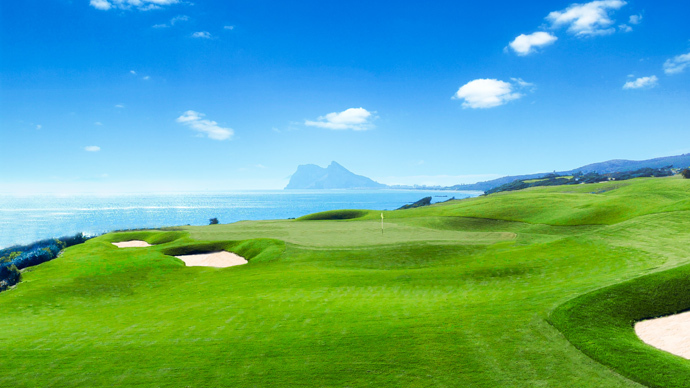 The Costa del Sol region situated in Southern Spain is known as the ultimate golfing paradise of entire Europe. 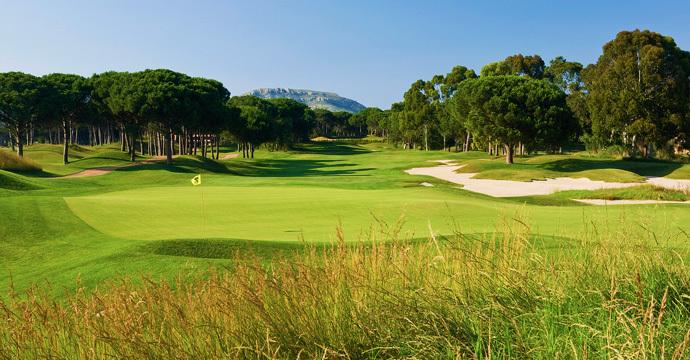 The courses are lavish and regularly manicured, with exquisite greens and magnificent landscapes. The green fees depend on the tariff of the clubs and resorts, as well as the season. With a climate that stays pleasant for a major part of the year, golfing in Spain will definitely be an experience of a lifetime for you. Grab those tomatoes, toss them, pound them, or squash them on your partners’ head - if you missed La Tomatina, it only means you didn’t do justice to your trip to Spain. La Tomatina, Spain's acclaimed street fest that is held in August is an event to bring out the crazy side of everyone. With an excited mob of over 20,000 people, La Tomatina is definitely an exciting bout between local as well as foreign visitors from across the globe, where the dirtier you get, the more you have enjoyed. The ticket to the festival costs around €50 and included shuttle transfers to and fro the venue. Run with the Bulls in Pamplona! Running with a mob and being chased by a hoard of crazy bulls is considered a stunt that you can do only in Spain and you must have some incredible guts for that. With chanting spectators, nervous participants and the bulls on fire, the race is indeed a marathon for the survival of the fittest. Despite the fact that it indeed is a hit or miss deal, causing casualties and leaving many injured, running with the bulls in Pamplona will be an experience you will be proud to tell your grandchildren.